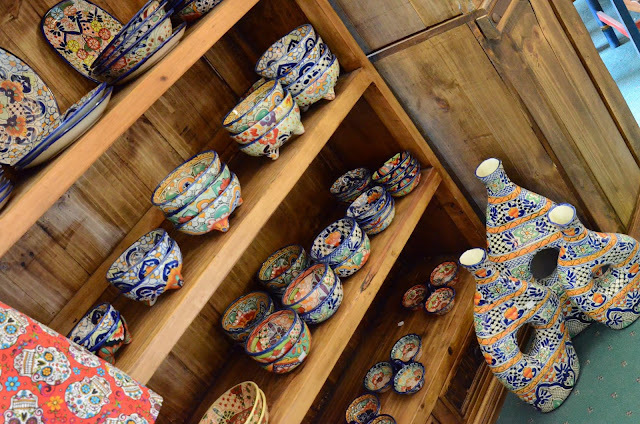 Aalayam - Colors, Cuisines and Cultures Inspired! : Aalayam goes to the great Southwest to discover its storied past and its gorgeous terrain! 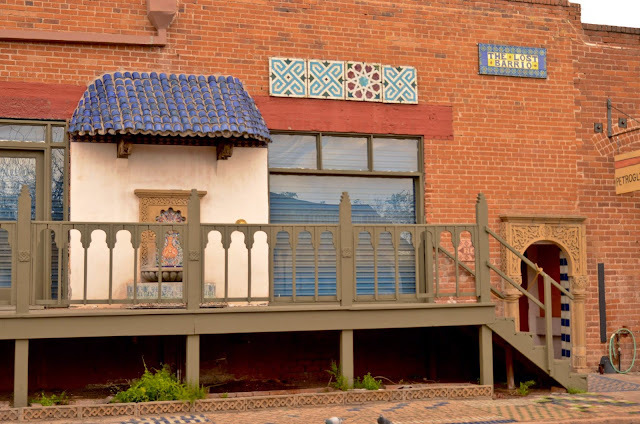 Aalayam goes to the great Southwest to discover its storied past and its gorgeous terrain! Hello, we are back! 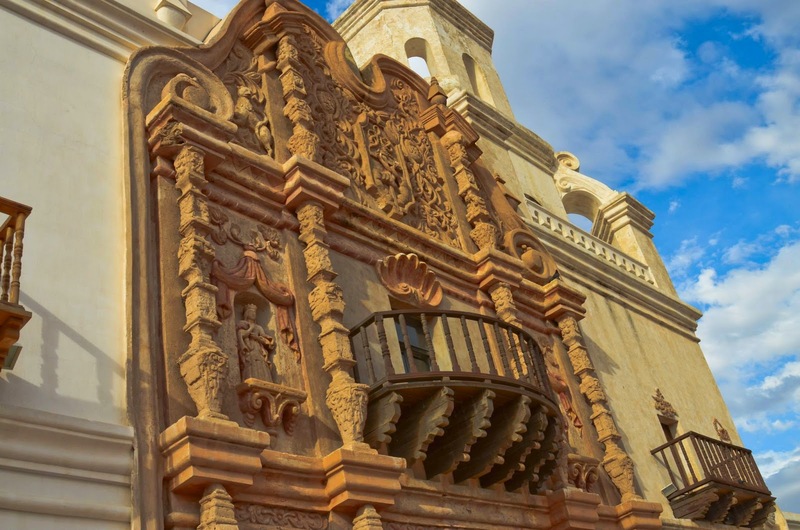 In our travel feature today we head South West to the gorgeous state of Arizona to discover it’s storied past, desert landscape, southwestern charm and so much more! I’ll take you on a photographic journey through the Old Pueblo (Tucson), spiritual Sedona, and of course the mighty Grand Canyon. 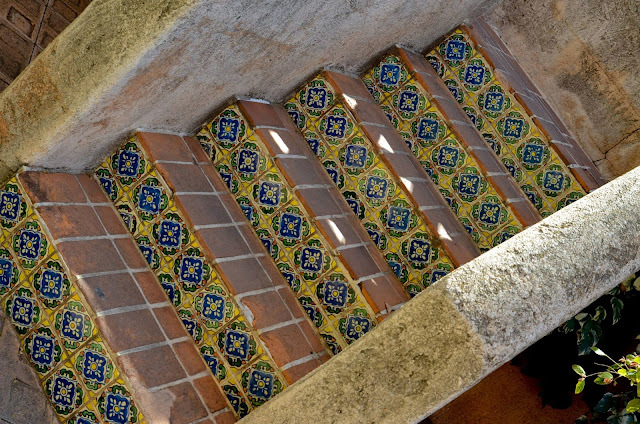 Have you made your travel plans for this year yet? Unfortunately for me, this year does not look like we can travel much at all and so, I plan to see the world vicariously and hope you will share your own travel tales and experiences with me. Make sure to write to me. Once again, many thanks to my talented husband for the beautiful photographs featured in this post! This was a trip we took last year (in March actually) and so we were not at all bothered by the famous Arizona sun. I was in awe and wondered why Arizona had not featured higher on our travel bucket list. 16 years in this country and this was our first visit to the Grand Canyon! 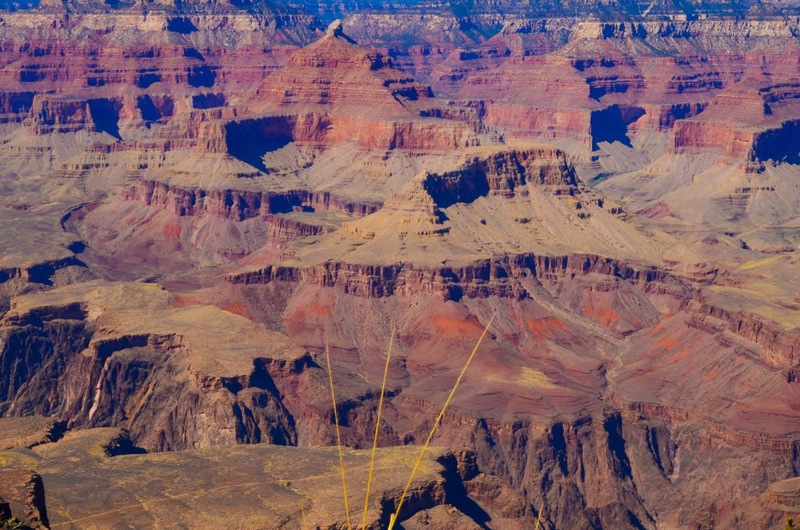 The great symbols of the American west – the Grand Canyon and the giant saguaro cacti had me spell bound. 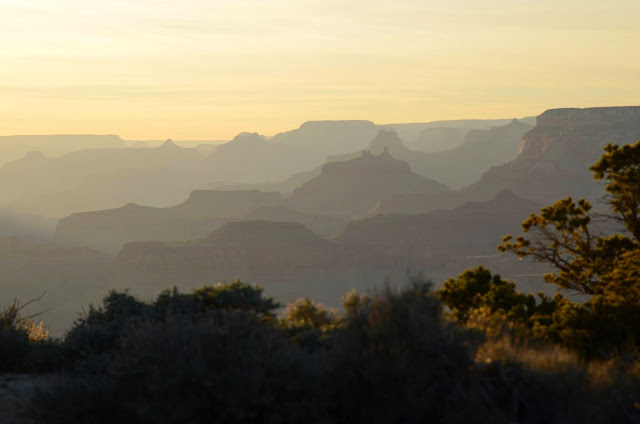 Driving past rock formations, buttes and mesas was like being in an old western movie. 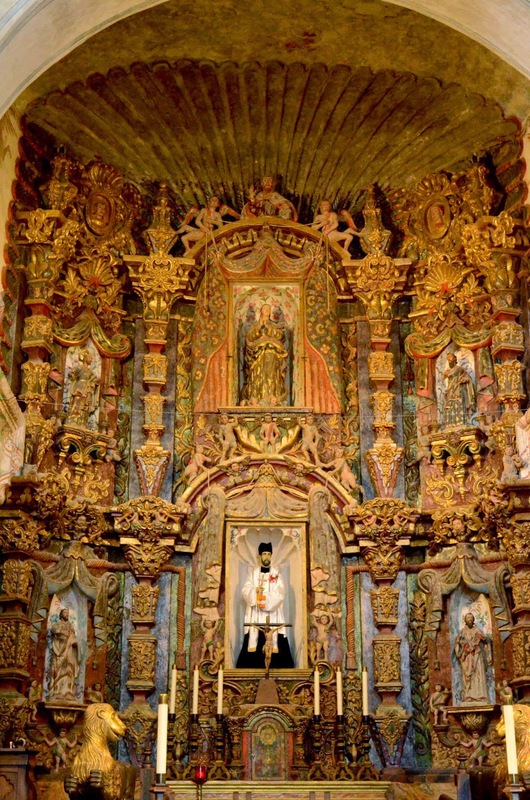 But what struck me the most was how the cities seemed to pay reverence to art and culture thus creating an eccentric mix of rugged landscape and urbane culture! 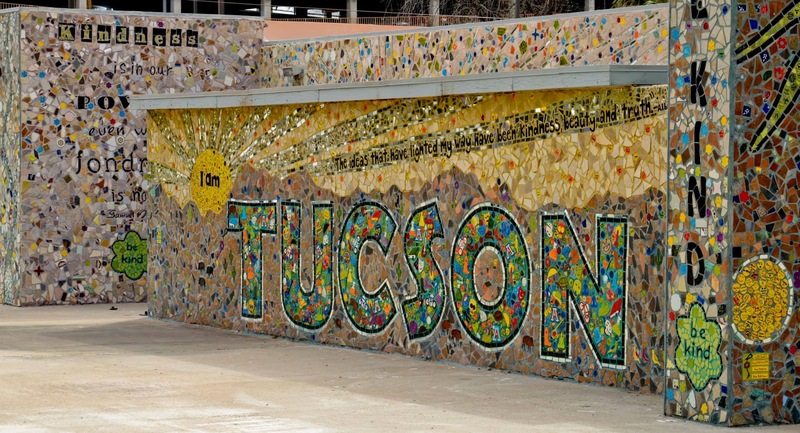 Open-air, mural gazing -The colorful murals that gazed at us from city corners were a testament to the collaborative work of talented street artists. These artsy murals breathed life into barren walls and gave the city a vibrant personality and a sense of community. Thumbs up! 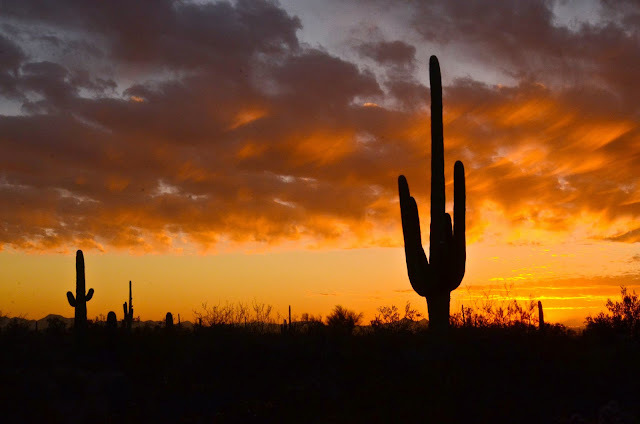 Sunset at the saguaro national park- Bathed in the late afternoon sunshine, the tall saguaros left a lasting impression as we drove through windy roads hoping to find a picture perfect spot. This excursion was also a great lesson in ecology for my 10 year old. 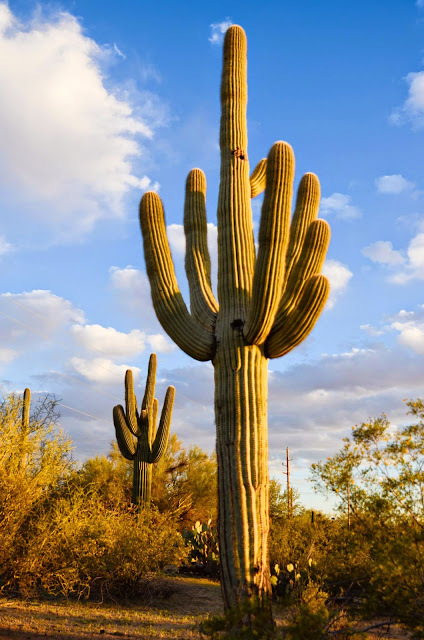 Do not miss the spectacular stately Saguaros! 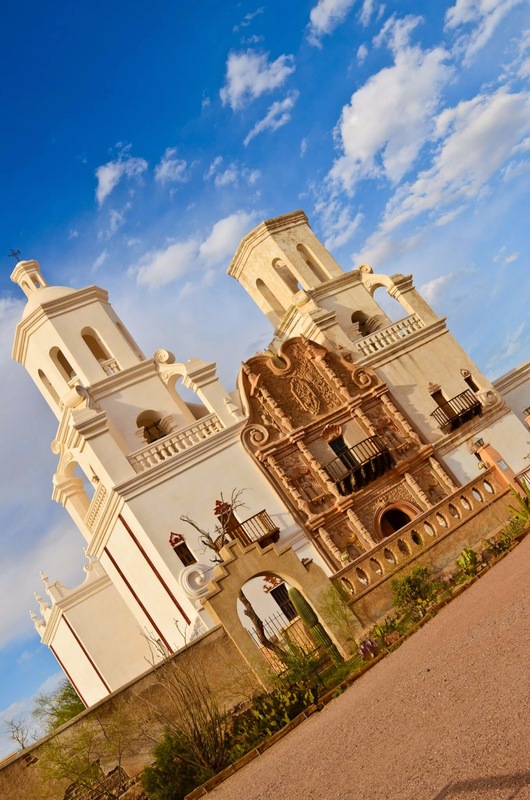 Mission San Xavier Del Bac: Referred to as the “White Dove of the Desert”, this architecturally fascinating 18th century Church stands tall in the vast expanse of the surrounding desert land. 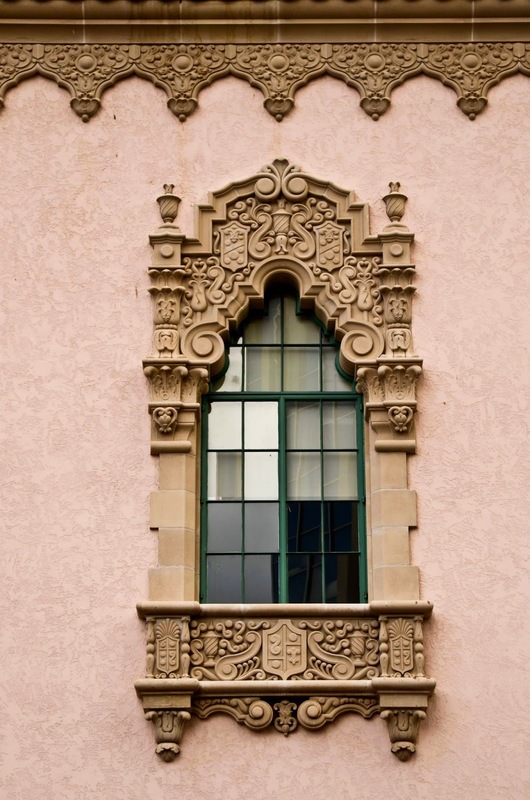 Take your time exploring the Moorish, Byzantine and Spanish renaissance style architecture for it is worth it! 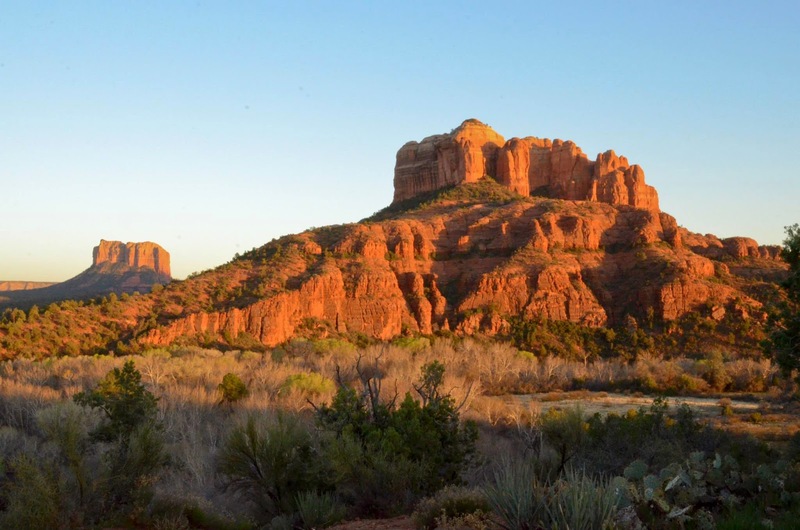 Sedona: One word- breathtaking! Whether you are there to experience the positive energy of the vortexes or take in the magnificent red rock formations or simply to lavish in the abundance of the culturally rich shopping and dining experience, you will come away with a great tourist experience! 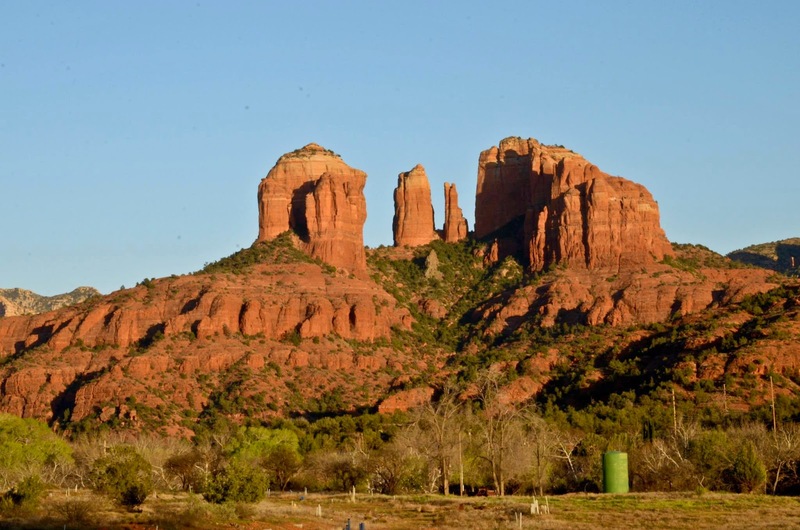 Red rock formations: Some call Sedona the “most beautiful place on earth”. I don’t know about that but there is something about the majestic and peaceful red rock formations that stirs your soul from the minute you enter the city. Panoramic views of bell rock, cathedral rock and more remind you of nature’s astounding beauty and leave you to your thoughts. Thumbs up all the way! Tlaquepaque (Tla-keh-pah-keh): An arts and crafts mecca!! 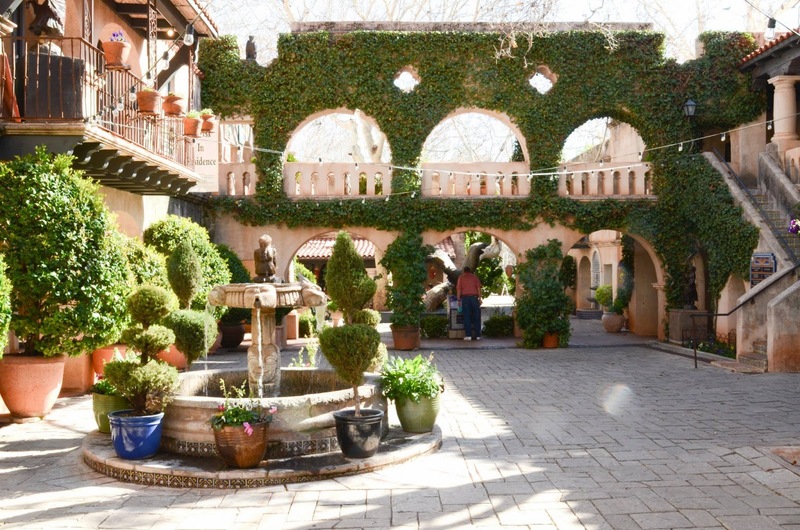 Cobblestoned alleys, vine covered buildings, gorgeous Spanish tiles, colonial architecture and giant sycamore trees add to the shopping experience as you stroll through the by lanes of Tlaquepaque shopping village, the epicenter of Sedona. 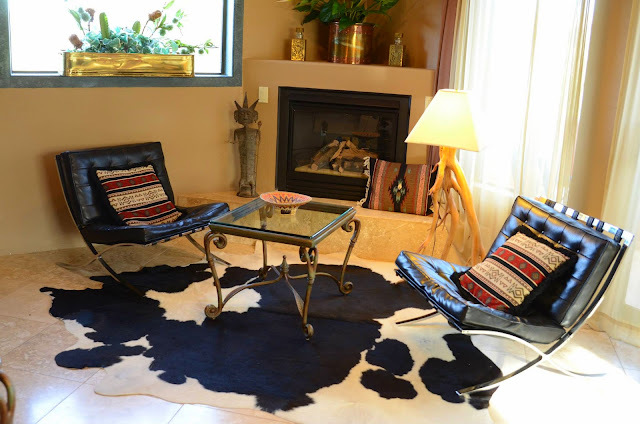 A word on the sunset chateau: The design and decor enthusiast in me is always looking for travel accommodations that are a bit indulgent. 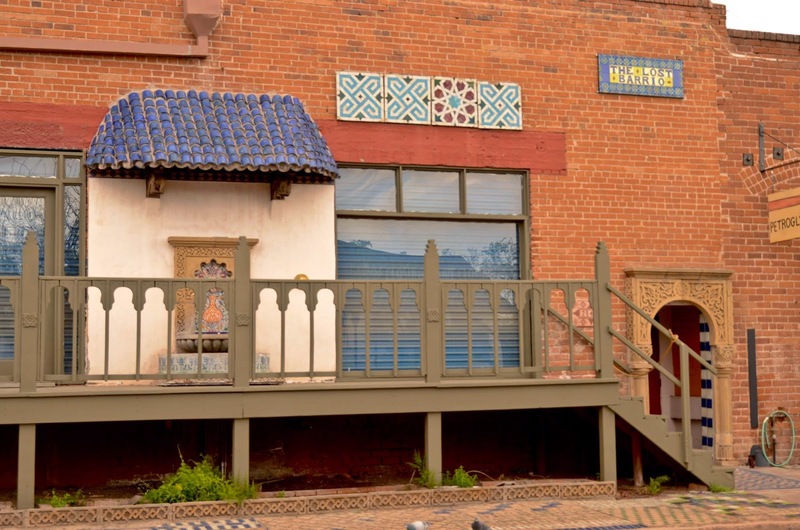 I am also looking for places that offer an authentic feel for local architecture and elegance – in this case, a touch of the Southwest. However, I try to be budget savvy and avoid the high price of highbrow travel and look for off season deals! 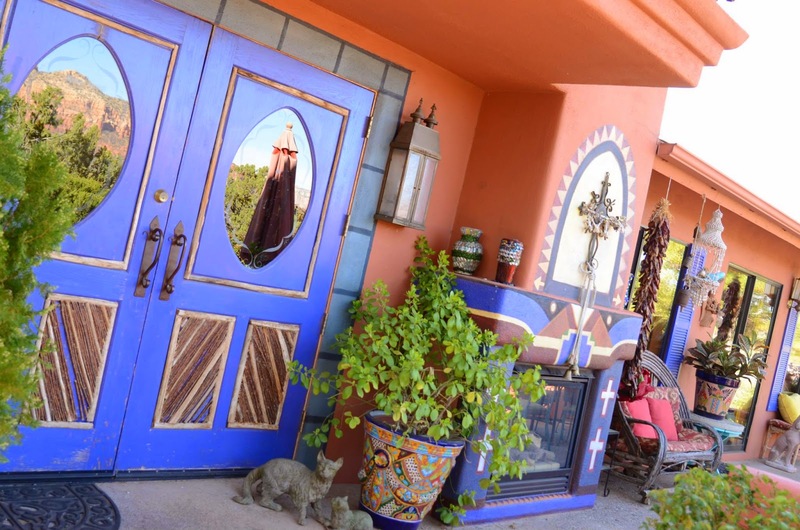 I zeroed in on the sunset chateau a boutique bed and breakfast that claimed to “be an artistic oasis and offer timeless elegance of old world charm and breathtaking views of Sedona”. 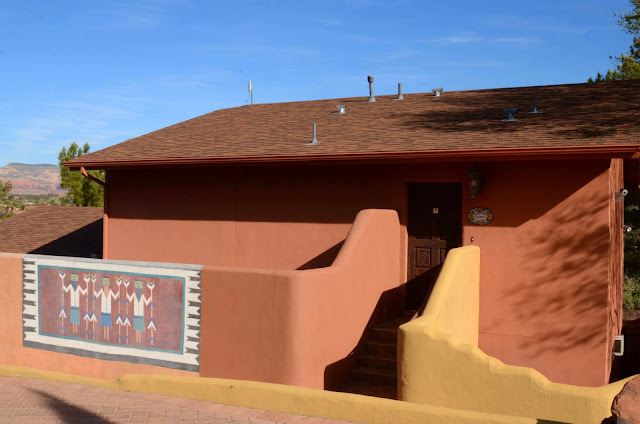 The property itself was quite nice and I was rather impressed with the grounds and the adobe style architecture .The dining area with its Southwestern décor was utterly adorable as you can tell by these pictures. But there ends my admiration for the place. 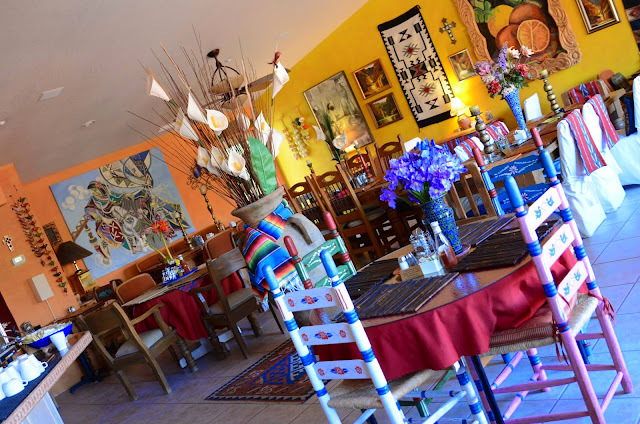 I was appalled by the discourteous and rude host and I give the place a big thumbs down for customer service and hospitality and that was a bummer! 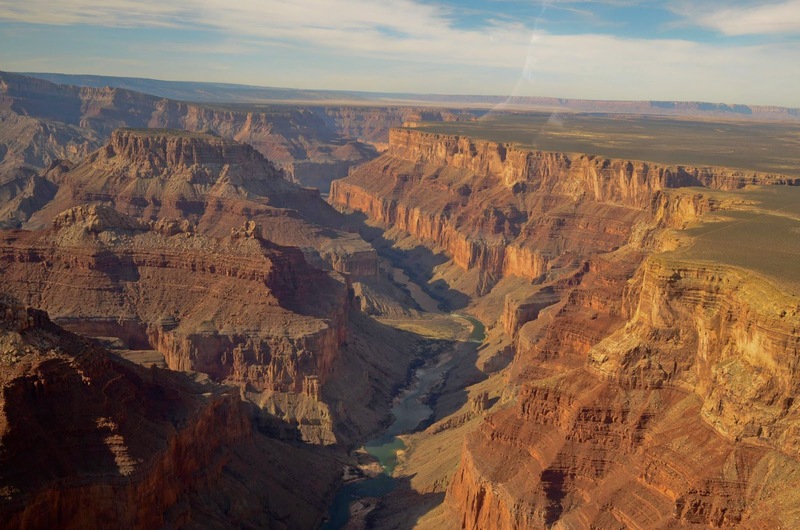 And now, for the show stopper of our trip – the mighty Grand Canyon. I would be a fool to think I could capture its might and majesty in my words. Perhaps, Uj’s pictures can serve more justice. Nature has patiently put together this masterpiece of mountainous wonder for all of humanity to marvel at. I felt humbled and will never forget how my spirit came alive at first gaze and I am sure those of you that have been to canyons will agree? And oh! 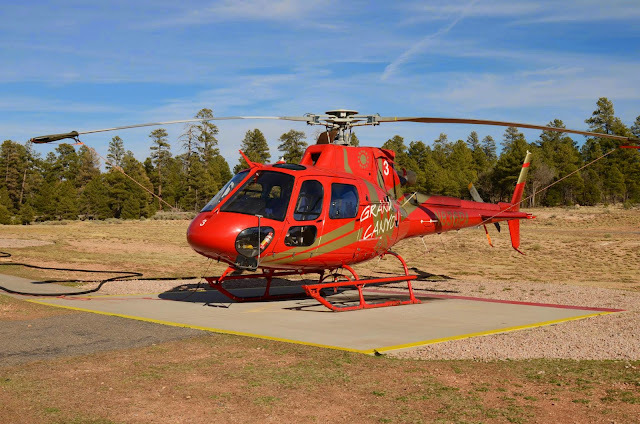 The helicopter ride offering unsurpassed views over the clouds, the canyon and the Colorado River was totally worth it! Well, I love this country’s heterogeneous landscape – it is unparalleled. And as I have discovered time and again, it is not just the destination but the journey itself that makes every trip so indelible. I’ll never forget the excitement of looking at the rolling hills and snow peaked mountains as we drove on 89 A from Sedona to Flagstaff or my husband’s crazy pursuit of the moonrise (and wanting to capture it through his lens) on some unknown Arizona highway as we were heading back from the Grand Canyon. 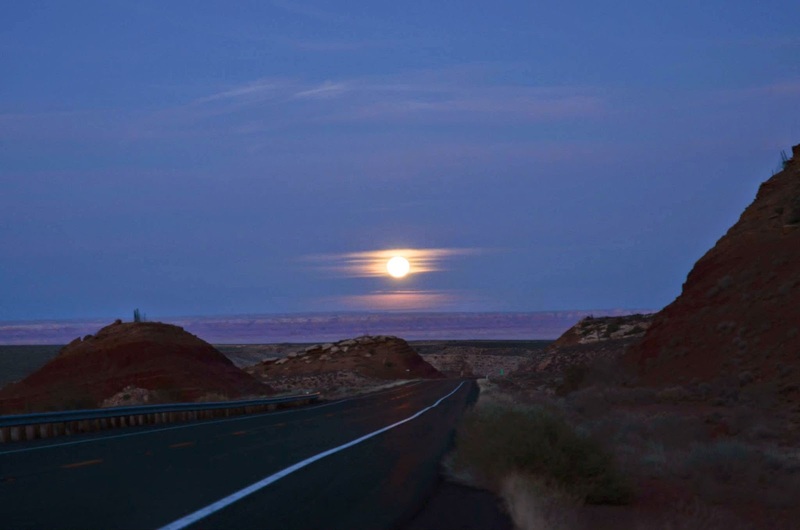 He is a huge Ansel Adams fan – remember Adams’ moon rise over Hernandez? Well, Uj now has his own moon rise picture. I cherish our wayfaring because of such interludes! And ofcourse, no vacation is complete without a shopping excursion. 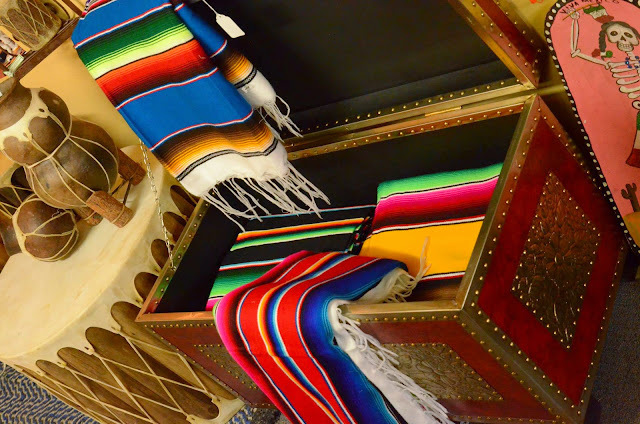 This time, I came back loaded with southwestern treasure - fabrics, placemats, talavera pottery and more. Now, I leave you with this picture of a table scape from my husband’s 4oth b’day. 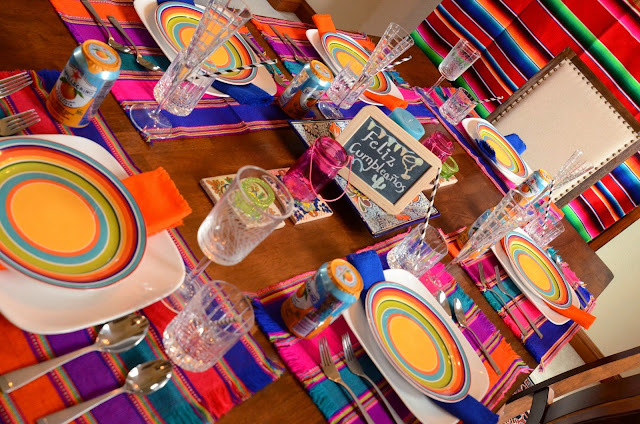 I used our travel finds - the southwestern placemats and the Mexican serape for this one as a fond reminder of our trip to the great Southwest! Incorporating travel finds in to your home! Thank you for your patience dear readers. Work-wise, Supriya and I have been swamped and that’s derailed things at the blog end slightly. Hopefully, we can stretch ourselves and get back to regular programming. This is what we have lined up for you - a home tour, a tour of my workspace, more local and internaional travel and Supriya is working on exploring our emotional and sartorial connection to the Great Indian Saree! Exciting stuff! Stay tuned- our summer pipeline is heating up! Now for the Dvara Magazine giveaway winner – I know you have all been waiting. It is Shruti of The East Coast Desi. Yay! You are all familiar with her fabulous blog, aren't you? 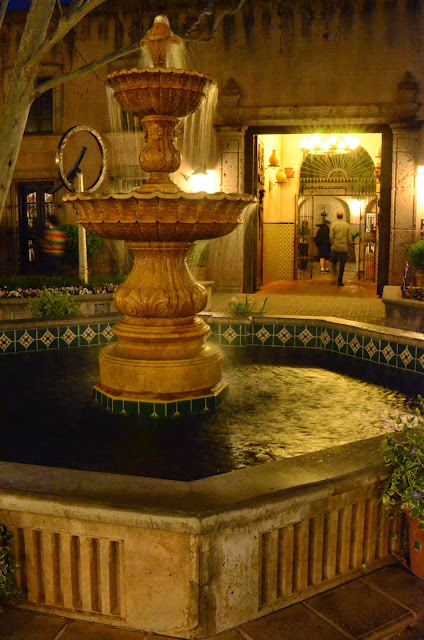 If you are not, stop everything and go there right now – what a fantastic blog Shruti owns! Anyway, she sent us a lovely picture of her living room and the Dvara duo loved it and Shruti you will love the first edition of Dvara! Congratulatios!! Those of who have not yet liked Dvara’s fb page, do so today and stay updated on Dvara's future offerings! p.s: All images are shot by my husband and are from our personal archives. Do not use wihout prior permission. Wow...beautiful. Desert beauty has its own charm. I have been to Grand Canyon but rest is all new for me. Love first pic, very beautiful photography and that tablescape looks so much fun Deepa. 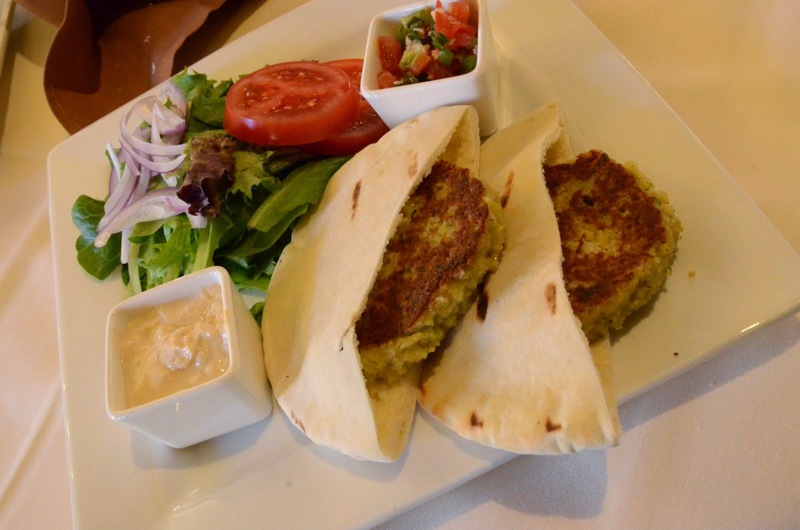 Thanks for reading Nayana. I know! I had imagined a more arid and uninteresting landscape and I was very pleasantly surprised at how unique all of AZ was! I did a whole post on the fiesta themed tablescape which I put together for Uj's 40th. here is the link, incase you missed it.,.. Thanks shalini for reading and commenting! Oh vow! that sounds like a lot of fun - hiking the canyon. Hope to do that someday! Sedona was beautiful in a very spiritual way - you should go!! Beautiful. Definitely breathtaking in real. 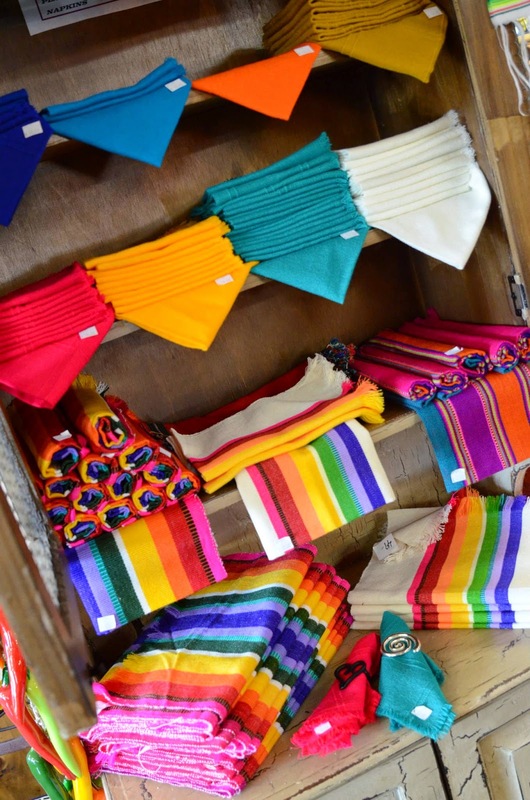 Loved the colorful tableware fabrics. Thanks vasudha. Yes, I was pleasantly surprised by how much I enjoyed the landscape too!